The story of the Christmas tree is one of resistance, breakthrough, and change. Did it ever strike you as a strange thing to drag a living tree once a year into your home and set it up to worship? 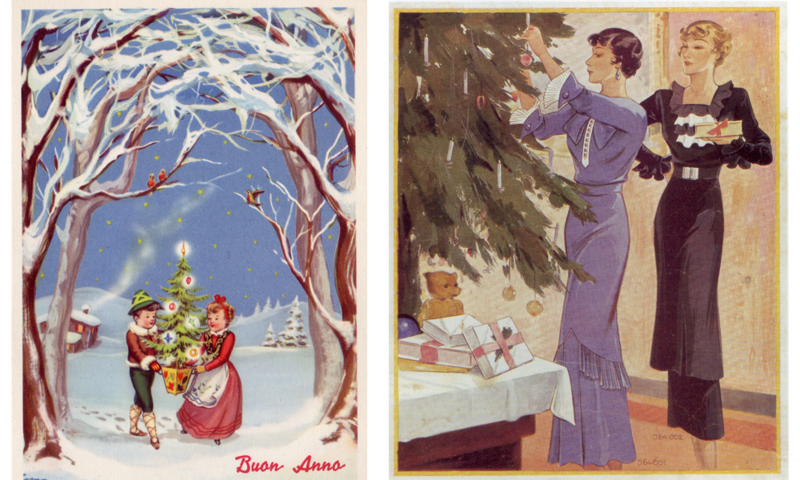 If you are old enough, you may have seen decorating fashions come and go: fir cones painted in gold, cardboard adornments — preferably in red or green — artfully sculpted little angels, fragile glass balls in all colors. And you may have noted that the tree itself has transformed from real to artificial. Fiberglass trees in vivid colors, such as bright blue, are popular. There is a small rotating porcelain tree that plays Elvis Presley’s “Blue Christmas.” Presley himself decorated his ranch house with a nylon tree that had red ornaments and a revolving base tootling Christmas songs. Let’s leave it to others to discuss whether this is still a “real” tree or not. What Charles Dickens once called a “pretty German toy” has a long history, although it is somewhat difficult to reconstruct because historical documents are scarce. 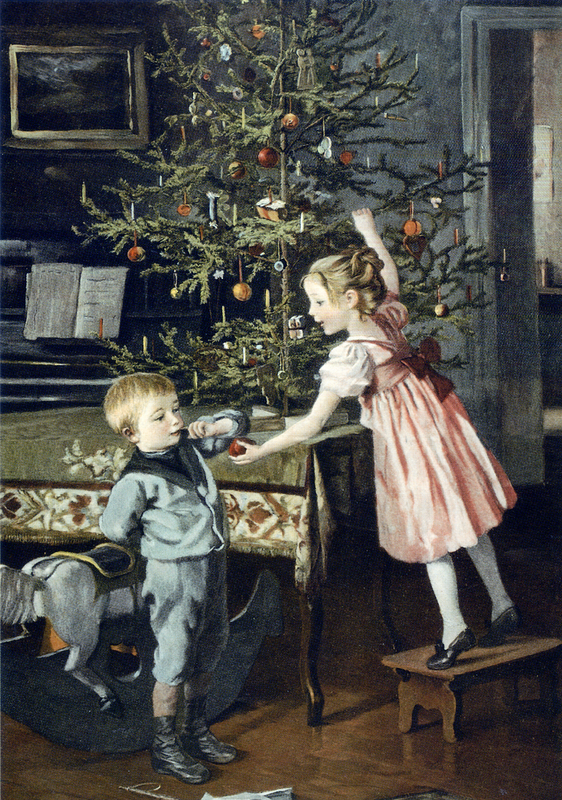 Reports of decorated trees go as far back as 1419; a Fraternity of Bakers’ Apprentices appears to have seen a tree decorated with apples, wafers, gingerbread, and tinsel in the local Hospital of the Holy Spirit in the guilds of craftsmen, in Freiburg, Germany. It’s possible that the inspiration for this practice came from the Christian paradise play, which was popular in Europe in the late Middle Ages. 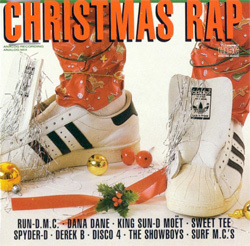 It already had a decorated tree at the center, was performed on Christmas Eve, retold the story of how original sin came to be, and showed the banishment of Adam and Eve from paradise. 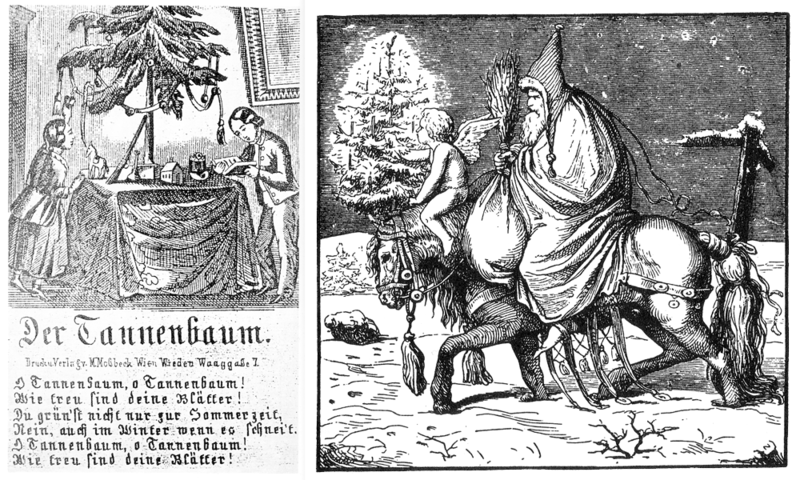 This tree then freed itself from the religious context of this play and began its path toward the Christmas celebrations of some guilds in the southwest of Germany. A few decades later, tree fellings must have become so prevalent that a Strasbourg town clerk found it necessary to forbid the custom of cutting off pine branches and bringing them home. 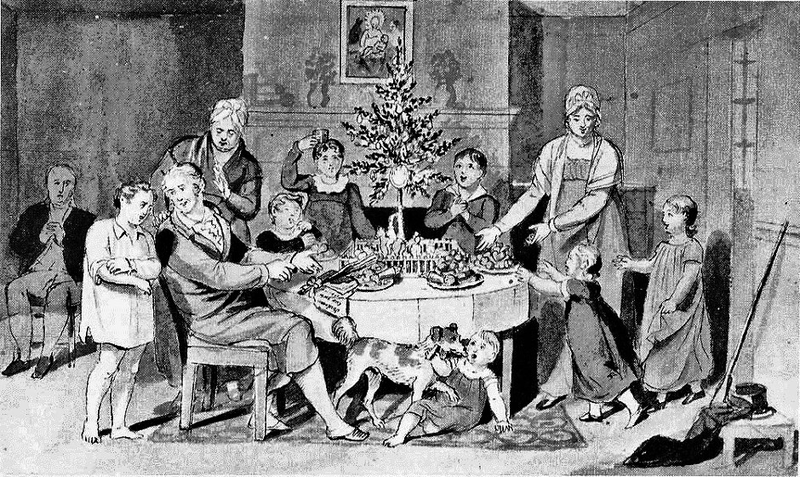 For two centuries, the adorned tree remained a peripheral phenomenon until the nobility and the wealthy bourgeoisie of the German states discovered it, where it soon became a focus of the Christmas celebration. 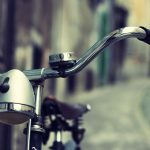 Its popularity is tied to the rise of a new way of living, and the architectural division of houses and mansions. Soon the decorated tree could be placed in a “parlor” and unfold its particular effect. From here onwards, it’s easy to see how the tree evolved into what it is today. 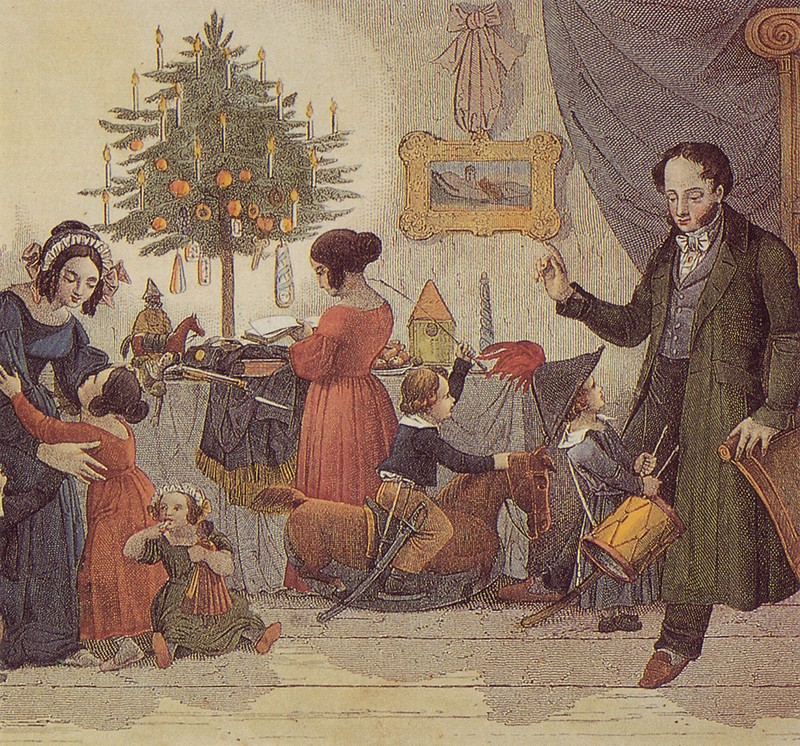 The German Christmas tree — a rootless and lifeless corpse — was never worthy of the day, and no one can say how far the spirit of rationalism which begins with the denial of Santa Claus, the supernatural filler of stockings, and ends with the denial of all things supernatural, has been fostered by the German Christmas trees, which have been adopted so widely in this country. 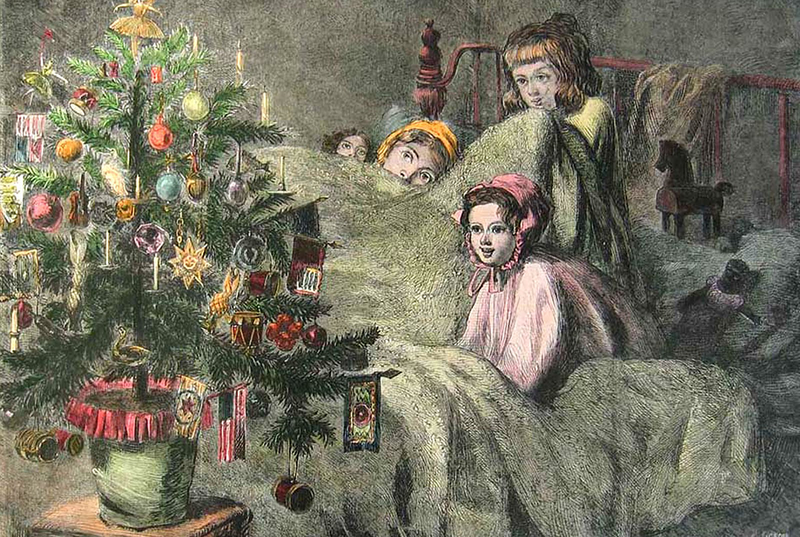 … The Christmas tree, dropping melted wax upon the carpet, filling all nervous people with a dread of fire; banishing the juvenile delight of opening the well-filled stocking in the dim morning light, and diffusing the poison of rationalism thinly disguised as the perfume of hemlock, should have no place in our beloved land. The author’s wish didn’t come true, but the tradition of the trees did not gain popularity in wider circles until the second half of the 19th century. Sometimes trees were introduced in Sunday schools to encourage attendance. As the American cultural historian Karal Ann Marling at the University of Minnesota noted, “Some efforts were made to find a religious justification for decorating them,” which, of course, was difficult if not impossible, given the symbol’s clouded origin. 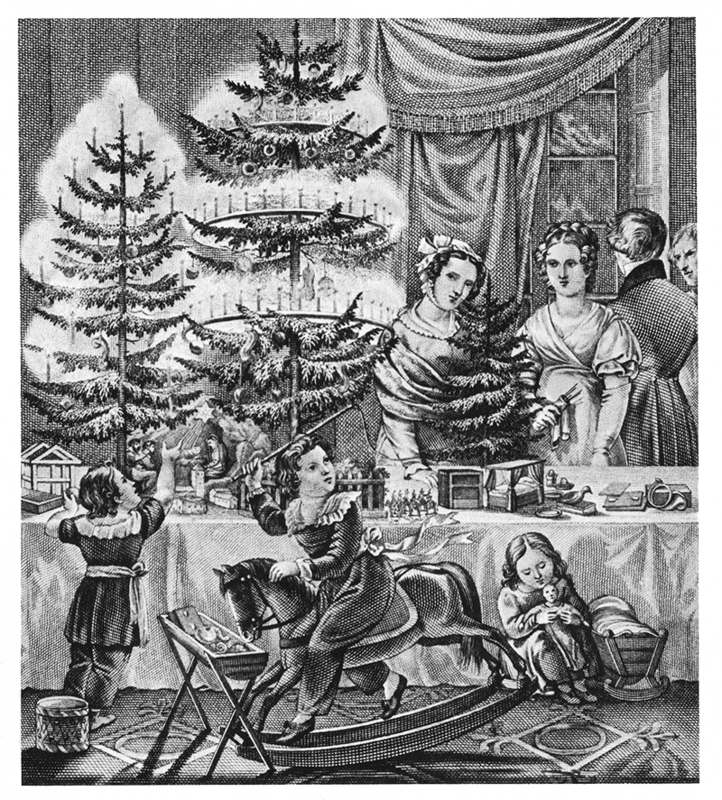 In the 1850s Godey’s magazine wrote about an “orthodox Christmas-tree,” which would “have the figures of our first parents at its foot, and the serpent twining himself round its stem.” Ultimately, Calvinist attitudes took a back seat, as the tree entered the national imagination and soon became the icon of American Christmas, just as it had done in Europe. The transition from traditional to Christian symbol was certainly a rocky one. And the story continues. Occasionally a Christmas tree is designed in a way calculated to elicit strong emotions. Outré displays in the privacy of one’s home are generally safe from criticism, but public spectacles are almost guaranteed to spark fierce debate. Intense protests broke out in New York in 1998 when AIDS-prevention activists planned to decorate a tree in Central Park with condoms. Incumbent mayor Rudolph W. Giuliani called it “one of the most idiotic ideas” he had ever heard. Despite backing from powerful sponsors including Coca-Cola, the plan was not carried out. 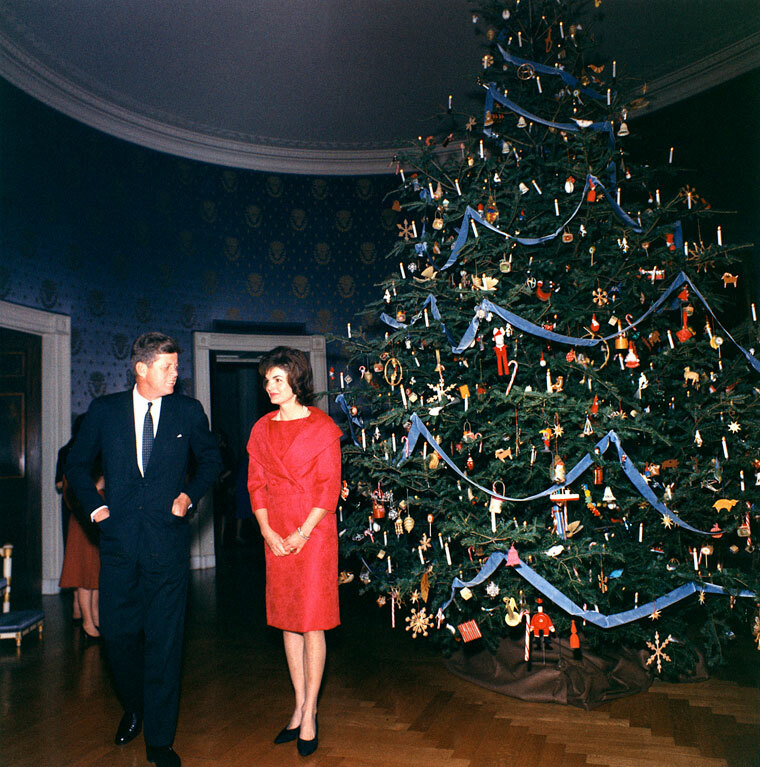 John F. and Jackie Kennedy with the Blue Room Christmas Tree in 1962. Photo by Robert Knudsen. In 2011, a white papier-mâché tree erected in Rome caused such a stir that the city council demanded its removal the very next day. The mayor, Gianni Alemanno, said that he couldn’t stand the obelisk-like thing and requested it to be replaced with a normal fir tree. And who could have foreseen that decorated evergreen trees would also be found in non-Christian communities, throwing their original significance to the wind? At times, however, its religious symbolism is so powerful that it is unwelcome among certain populations. In Israel, for example, where the Christmas tree only typically appears in Arab Christian households, it is considered damaging to business in hotels and restaurants. A few years ago, trees displayed by the Spanish fashion chain Zara inspired a protest campaign by Israeli Jews. As a result of the demonstrations, the trees had to make way for menorahs. In the meantime, however, Israel’s Chief Rabbinate lifted the ban on Christmas trees in hotels. One of the most expensive Christmas trees was put on display in Abu Dhabi in 2010. Here, in the capital of the United Arab Emirates, a thirty-foot-high tree was erected in a hotel lobby, decorated with pearls, gold, and gems worth $11 million. It was meant to put the customers in a festive mood, but the management was accused of having done a disservice to this Christian symbol: several guests said that it had nothing to do with their concept of the season. Yet complaints about cultural pollution seem ironic in a world where some Westerners trim their trees with Arabian Nights’ baubles decorated with Oriental patterns. 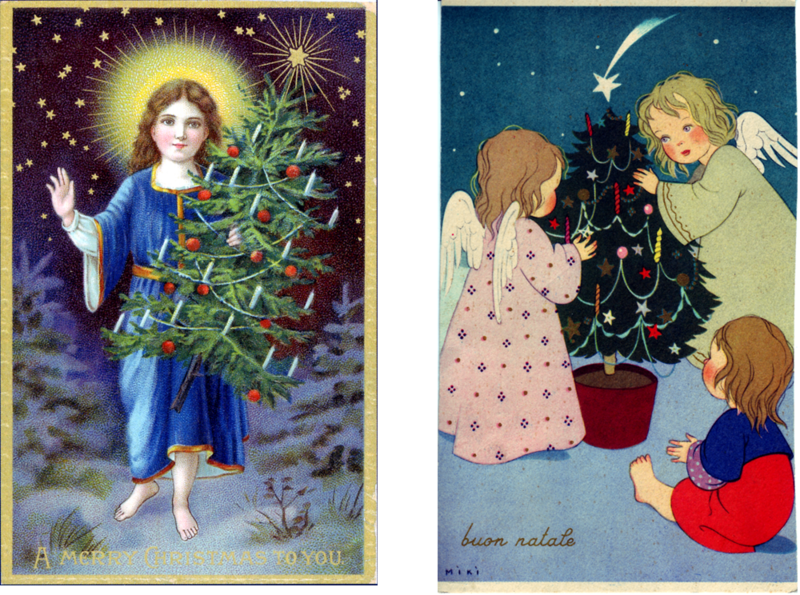 In an era of heightened cultural sensitivity, some yuletide celebrants chose to refer to the “holiday tree” rather than the “Christmas tree,” to avoid offending those who don’t celebrate the Christian feast day. But whatever the tree is called, the associations it triggers remain somewhat unpredictable: it sometimes provokes resistance, or at others, takes on layers of meaning unrelated the ones that Christians attribute to it — this depends entirely on the cultural context.